meets in Dallas on the second Saturday each month [2:30 pm] from October through June at the Preston Royal Library, 5626 Royal Lane [one block west of Dallas North Tollway], with the exception of November when the Annual Awards banquet is held at a Dallas hotel. The Summer Conference convenes in a different area of the state each July. At each regular meeting business is transacted and a program, usually by a writer or critic of distinction, is presented. Poems by members are awarded cash prizes by a critic judge. Other poems selected by the critic judge are read anonymously with the popular and other prizes chosen by secret ballot. Visitors are always welcome at the meetings. COUNCILORS appointed by the Board of Directors are representatives of The Society throughout various areas of Texas. ANNUAL cash prizes in excess of $4,500.00 are sponsored by The Society. These are open only to active members except where otherwise stated. PRIZE-winning poems in the Society's annual contests, as well as winners of the monthly Critic's award, are published in an annual volume, titled A Book Of The Year, which is mailed to members. This volume, valuable to college and public libraries for research, also includes the membership list and other information. In addition, the Society sends each member a monthly news bulletin. THE SOCIETY sponsors a permanent collection of books and holograph poems by its members. This collection, now totaling more than 1,850 books and pamphlets, is housed in the Texas room of the Dallas Public Library. 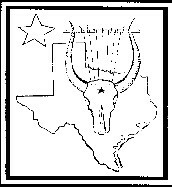 The Society sponsors a TEXAS POETS MEMORIAL COLLECTION of memorabilia of deceased poets of Texas consisting of brochures, books, clippings, photographs, and mementos. THE SOCIETY is a member of the National Federation of State Poetry Societies, Inc. Members are eligible to compete for Federation's awards and to participate in its activities. THE SOCIETY is also an affiliate of the Academy of American Poets. National Poetry Day is observed October 15.